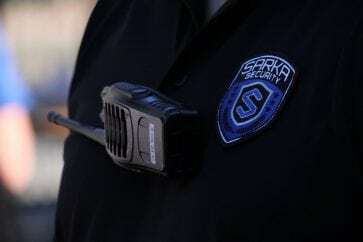 Event Security is at the core of what we do at SARKA Group. Whether your event is large or small, indoor or out, business or pleasure, SARKA will customize an event security plan that will exceed your expectations. We are not bouncers. We are customer service driven professionals who proactively address security issues at our client’s events. Our security guards are personable and engaging, professional and courteous. We are the face of the client and aim to create a safe and secure environment for our client’s guests, staff, and vendors. When you engage SARKA Group as your event security provider, you can rest assured that all of your safety and security needs will be addressed so that you and your staff can focus on your guests, not your guests safety! We will do that for you! Our agents are trained to interact with client guests and staff with a professional, customer service focused approach that is never intimidating or demeaning. We will address all issues discreetly and proactively. Our on-site managers will liaise with the client staff to ensure open lines of communication are maintained and the client is always kept aware of actions that have been taken. Think of us as your Concierge with an outstanding defense! When you engage SARKA Group as your event security provider, we’ll work with you to determine the level of visibility you’d like our agents to maintain during the event. Our agents can be face-forward, uniformed, and easily identifiable, or more discreet. We will work with you to provide the appropriate level of safety and security your guests require.